Kicking things off we’ve got some updates on the MCC Insider front. With the program now officially closed, the MCC Insider experience will begin to go through a bit of an evolutionary metamorphosis once the first retail update is released for the full MCC title. As we’ve covered in our latest flight update, the MCC Public Test Realm will eventually reopen alongside the retail version of MCC and receive ongoing patches for testing and iterating on future updates (like the Custom Games Browser!) before they make it to the retail version. Current MCC Insiders who own a digital copy of MCC and/or who are an active Xbox Game Pass subscriber will be able to participate in the MCC Public Team Realm. We’re super excited to get this first “full” update out into the hands and onto the hard drives of all retail MCC owners soon. For Insiders looking to help us out as we hurtle down the homestretch, keep an eye out for info on some specific tests we’d love your involvements with – in fact, let’s hear real quick from our own Postums, who has some specific details on a few playtests happening this coming weekend. 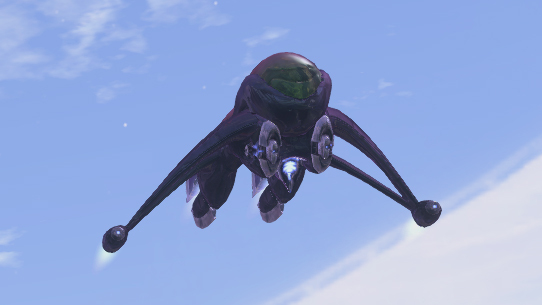 This weekend in the Public Test Realm for the upcoming MCC update we have a series of tests we are looking to perform. We are asking all participants around the globe to play as much as possible during the following times. And finally, we’ve said it many times before but it’s always worth repeating – THANK YOU! To each and every MCC Insider who has helped us along the way with playlist participation and fantastic feedback, you all have played a part in this incredible success story and we hope that each of you feels a certain sense of pride when the world finally receives that first updated experience. The anticipation for the next round in the 2018 season of the Halo Championship Season is building up, with HCS London just under a month away. As a reminder, this event is a global competition, which means that top teams from all regions will be descending upon the United Kingdom to put on a dazzling display of modern Halo mastery. As always, you can keep up with the latest developments from the Halo esports scene on Halo.gg on the web and @HCS on Twitter. And don’t forget to visit the official London event hub for tournament and broadcast details at halo.gg/HCSLondon2018. Similarly-themed, last weekend’s MS Store tournaments generated good times for lots of folks in store locations across the land. Make sure you head over to smash.gg/mrshalo to get registered for the next event and earn that Word of Mouth BR skin for Halo 5! 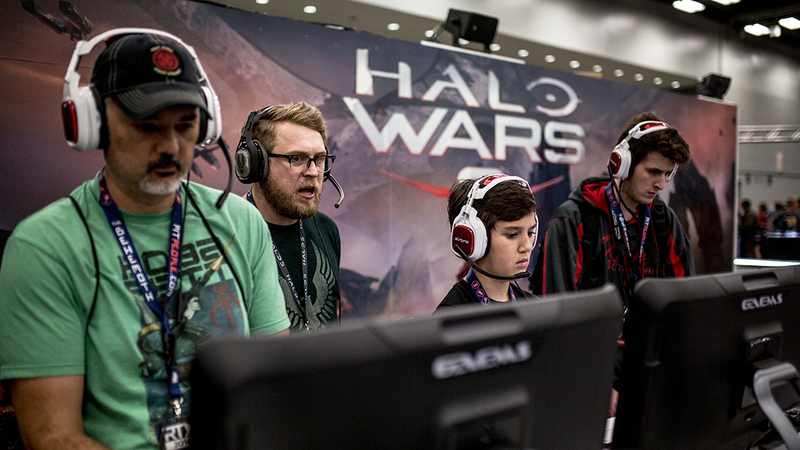 Season 2 of the community-driven Halo Wars Championship League is already well underway with The Banished, Breaking the Clutch, and Team Respawn all working together to bring the competitive community of Halo Wars 2 together. Last weekend was the first tournament in the series hosted by The Banished. Almirante99 pulled the win out with Scootman coming in second place for this tournament. RockGENERATION took third and Largo Pancake40 took fourth overall. Last weekend’s matches were epic to watch with plenty of new contenders throwing their hats in the ring. Will you be next? To catch this action as it takes place tune in on August 18 for Breaking the Clutch’s next HWCL tournament! Finally, a quick reminder to everyone that this weekend, a 343-hosted Blitz tournament is open for anyone who wants to play. The tournament kicks off at 5pm PT on August 18. To register, simply navigate to the Official Club page for Halo and select the "Official Tournament" tab under "Multiplayer" and register your team. Last week we gave further details on the official rollout of Halo: Fireteam Raven, which has officially launched and continues to arrive at locations all over the world. To help you celebrate, we also put together a little Community Content Care Pack as a special treat for Halo fans and content creators on the Halo Waypoint forums. The pack is full of awesome Halo: Fireteam Raven screenshots, logos, renders, and wallpapers, so check it out and enjoy! Alongside the festivities was a fun new TV commercial that debuted as part of a nation-wide ad campaign from Dave & Buster’s – it’s a grin-inducing bit of moving picture that features a familiar face- er, voice, to Halo fans. Give it a look! Also speaking of Fireteam Raven, make sure to tune into next week’s Inside Xbox show from Gamescom for an inside look at the development of Halo: Fireteam Raven. Hear from development teams at Raw Thrills, Play Mechanix, and 343 Industries to find out what it takes to bring an arcade experience to life, from developing the game itself to building the massive and imposing physical cabinet to house it all. Inside Xbox will be broadcast live on August 21 at 7:30am PT/10:30am ET on mixer.com/Xbox – see you then! Oh, and we’re also looking to have a new issue of Canon Fodder land next week that specifically takes a look at some deeper info about the setting, timeframe, and characters of the Fireteam Raven campaign. In case you like that sort of thing. Stay tuned. As always, the past couple Wednesdays, we’ve taken to mixer.com/Halo to play and chat Halo – and life in general – with more amazing studio folks on the 343 Social Stream. Last week, we had Halo Infinite (and Halo 5: Guardians) Creative Director Tim Longo on to chat about his role not only on our own games, but also on other beloved franchises like Star Wars and Tomb Raider. It’s a chat you won’t want to miss! Yesterday, we had the wonderful Corrinne Robinson join us in the hot seat. The 343 Senior Franchise Manager discussed the challenge of keeping a huge and diverse universe unified, curious industry inlets, and becoming the mother of the Halo museum. Make sure you check it out! Go Back to Throwback – Earlier today the latest limited-time Halo 5 playlist went live: Anniversary Throwback! Bring your fast and frenetic Spartan-IV gameplay to some old-school CE-derived, community created battlefields in this popular MP experience. 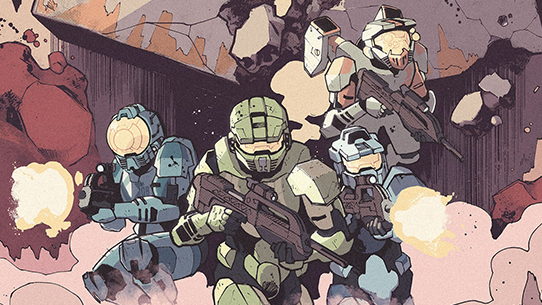 Oh, so thaaaat’s what it meant – Yesterday, the third and final issue of the Halo: Collateral Damage comic mini-series arrived at local comic shops around the land. On Aug 22, the finale will also be available at larger retailers such as Amazon, etc, so if you haven’t snagged yours already from a local establishment (support your local establishments!) or DarkHorseComics.com, then you’ll have plenty more ways to grab one come next week. Last Community Update, we mentioned that we’d be breaking out the Community Spotlight into its own feature, and last week we did just that. Make sure you check out our first foray into bespoke blogs for community creations right here. Also, we mentioned that we're going to be officially moving community content submissions over to the hashtag #HaloSpotlight, so use that on social to help us find your cool stuff! One thing we did want to highlight – as it was relevant to the spirit of the section – is a pretty cool thing going on from the Achievement Hunter denizens at Rooster Teeth. Their team (who will always be “Halo community” to us) has been rolling through their aptly Pillar of August event, where they attempt to complete a collection of crazy Halo challenges. Check out one of their latest videos below where they attempt a modern-day run at Halo 3’s beloved “Annual” Achievement (one of my personal faves). Aaaaaaaaand we out. Have an awesome weekend, everyone. Until next time… Live well, play Halo, and appreciate your friends and family. When last we met, we were fresh off Grim’s Etouffee Extravaganza, or I guess as some people called it “HCS New Orleans.” This time around, we’re catching up on a few different things – a light week overall, but still some important happenings in the Halo sphere to chat about, so let’s get to it!